ACCESS young leadership tickets are $65 per person. 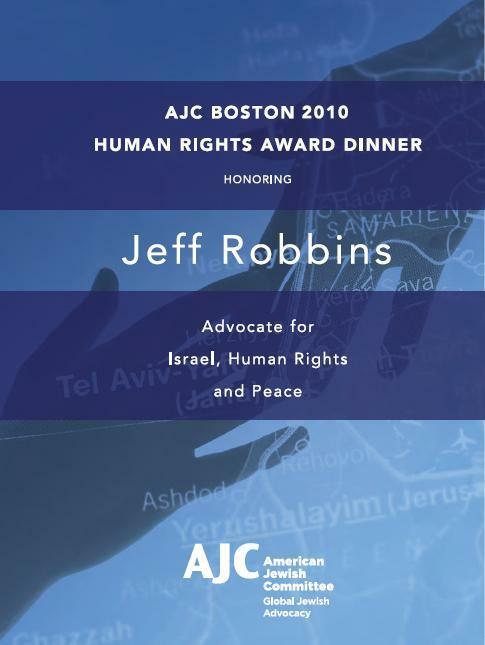 For more information about the 2010 Human Rights Award Dinner, please contact Susan Altman at Saltman@ajc.org or 617-457-8700. AJC is the premier global Jewish advocacy organization. Only AJC has the global reach to effectively advocate for the security of Israel and Jews around the world while promoting human rights for all. AJC Boston is your local access to AJC’s global Jewish advocacy network.